Have you tried Fusion Cash? 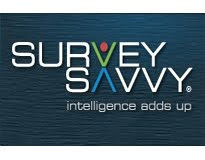 In this review, we'll give you a detailed review of this popular survey site. Fusion Cash is a decade old company that operates a website where you get paid to carry out specific tasks that have been assigned by the site owners. Fusion Cash started rewarding loyal members in 2005 and till date, the California based company has been able to pay about $2million to its members in over 50 states of the United States. It also has an online forum where members can ask questions and provide answers to other questions. Fusion Cash allows you to mainly complete specific offers but you can also make additional cash on Fusioncash by completing other tasks and participating in surveys that have been posted on the website. To know how Fusion Cash works, you have to be a member of the website. Registering on the platform is easy and 100% free. It only takes less than 3 minutes to register with Fusion Cash. After completing your registration on Fusion Cash i.e after you have been confirmed as a member, you will then be presented with various choices you have to make money on Fusioncash. Completing Offers: One of the best ways to make money on Fusioncash is to complete offers. Completing offers means you will try out a new product or service of a company for a period of time. Most of these offers are free and so you do not have to pay any money. After the trial period has expired, you can cancel your subscription and then get paid by Fusioncash for the completed task. Do not worry about this. As long as you cancel your subscription when the trial period is over, your money will not be deducted. Taking Surveys: Another way to make money on Fusion Cash is to take part in their surveys. FC Surveys are sent via email and also posted on the dashboard of members of Fusioncash. Shopping: Another way you can make money on FusionCash is by shopping. Ou can earn cashback on every purchase you make via Fusioncash. Referral: Another option available for you to make money on FusionCash referrals. You can make money by referring your friends and colleagues to take part in Fusioncash. You earn $1 for every friend you successfully invite, $2 for the first offer your invites complete and you also earn $5 anytime your invites cash out. Payment on Fusion Cash is done via three ways: Check, direct deposit. and via Paypal. You can choose which option suits you when registering on FusionCash. The minimum amount you can withdraw on Fusioncash is $25. You must note that at least $15 of your earnings must come from taking other tasks apart from surveys. The quickest payment method on FusionCash is via Paypal and it is what I would recommend. If you reside in the States, then you need to be 13 years and older to be eligible to register on Fusion Cash. However, if you reside in Canada, then you must be at least 18 years of age before you register on Fusioncash. >> Click here to get started with Fusion Cash. Earning Station Review: Legit or Not?